Orlando Luis Pardo Lazo (1971). Wrong writer and postographer. He resides and resists in Habanaught, Cuba. Editor of the irregular writing e-zine The Revolution Evening Post. 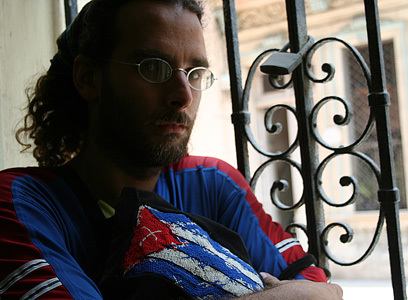 In Cuba he has published several newrrative books: Collage Karaoke (Letras Cubanas, 2001), Empezar de Cero (Extramuros, 2001), Ipatrías (Unicornio, 2005), Mi nombre es William Saroyan (Abril, 2006) and Boring Home (digitally domestic, 2009).